Taste of The Monticello Wine Trail dinner with Parallel 38! 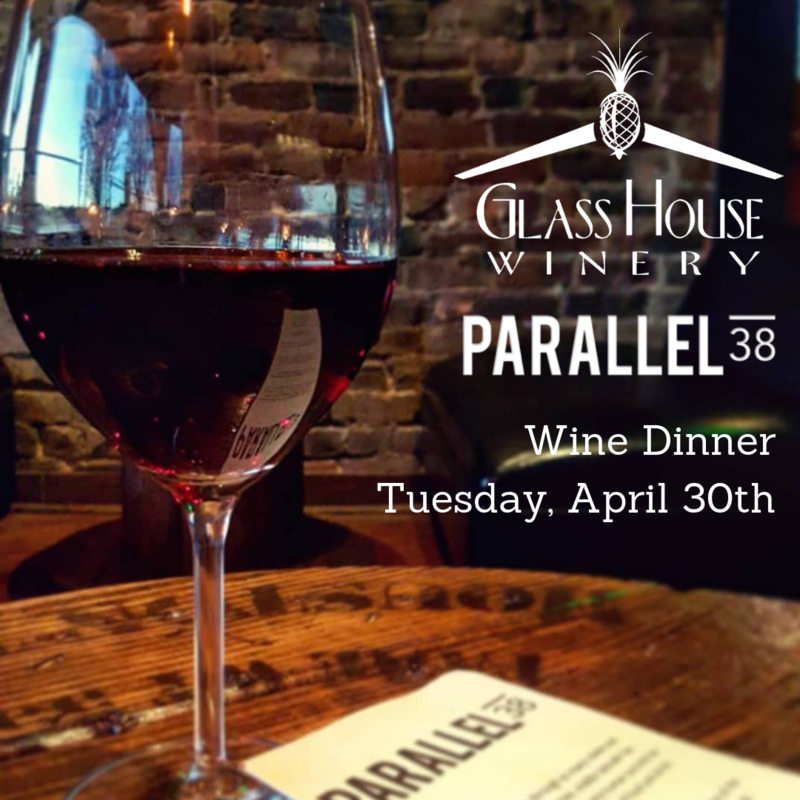 Glass House Winery is pairing with Parallel 38 for the Taste of the Monticello Wine Trail celebration. From 4-6pm Happy Hour, with our Winemaker, wines will be available by the glass, and is open to everyone whether you are coming to the dinner or not. Dinner 6:30pm- Five courses, each expertly paired with a Glass House wine. Discussions of the wines during dinner with Winemaker MJ Wingate. Dinner reservations are required, $95 per person, includes: dinner, wine, tax and gratuity.